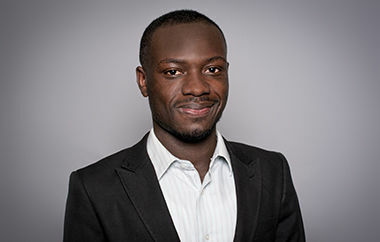 George Kofi Parku aims to convert plastic and non-plastic wastes into useful fuels and chemicals via pyrolysis in order to create a more sustainable energy supply. George has built a significant amount of expertise in Petrochemical Engineering through his experience in past research projects. In about half a century, the world’s petroleum reserves are anticipated to deplete. Novel methods of converting new resources need to be established to serve the world’s energy demand. The availability of energy feedstock can be assured by diverting plastic and non-plastic wastes into energy. George is aware of these challenges and is focusing on improvement in this field. He has a background in Chemical Engineering from his studies at Stellenbosch University in South Africa. As a research student, he puts emphasis on environmentally friendly renewable energy and sustainable technology. In other fields of his research, he aims to optimise the effects of key process parameters such as temperature and heating rate on fuel oil yield and quality from the pyrolysis of polypropylene plastics, under atmospheric and vacuum conditions as well as scaling-up of bench scale processes to a pilot one. Furthermore, as part of his research, he played a major role in designing, installing and commissioning a pyrolysis pilot plant that runs on both plastic and non-plastic wastes. Pyrolysis is a process of heating materials in an inert environment to produce oil, char and permanent gases, which can be used as alternative fuel. George is keen to contribute his engineering and research skills in the field of transforming waste into energy and to eliminate the damages, such as leaching of nutrients from the soil and threats to aquatic organisms, these materials cause to the environment. Therefore, critical pre-analysis of problems and non-environmentally friendly materials are essential. He has established his transdisciplinary interest by giving strong attention to the potential of valorising non-plastic waste materials that include novel biomass wastes, e-wastes and sludges. He is also seeking to use fuel products derived from solar operated pyrolysis plants to generate electricity. His project is intended to be available across rural and urban communities as well as other developing countries facing environmental challenges resulting from the aforementioned wastes. It is also targeted at local industries and communities with no or limited supply of electricity. 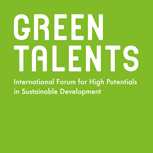 During the Green Talents Science Forum, he expects to expand his knowledge, generate and refine his ideas with the contributions from other Green Talent participants. Moreover, he hopes to broaden his personal horizon in terms of sustainable research methods. The jury especially appreciated his approach of converting waste into sustainable energy and providing alternative means of recycling plastic waste and composite materials. The jury also believes George’s research will be of particular interest to the private sector.